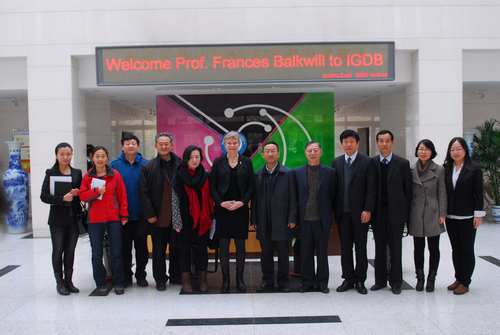 A lecture on Centre of the Cell, organized by Genetics Society of China and Institute of Genetics and Genomics (IGDB), Chinese Academy of Sciences, was held at IGDB on Nov. 18th 2012. 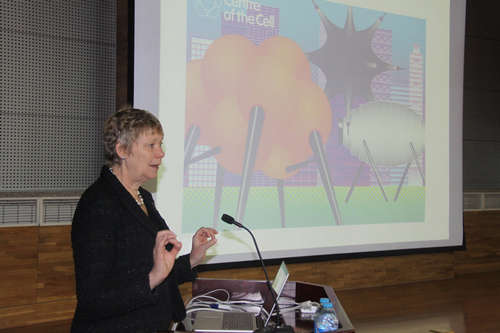 Prof. Fran Balkwill, a Professor of Queen Mary University, who is also actively involved in the communication of science, presented the speech on Centre of the Cell. 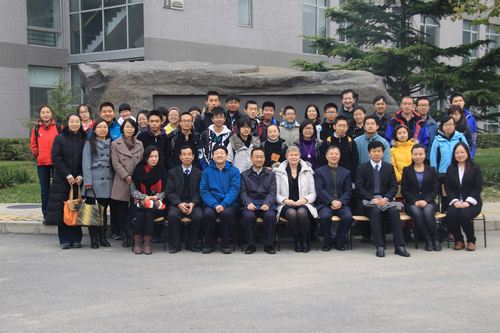 Centre of the Cell is the first science education centre in the world to be embedded within biomedical research laboratories. 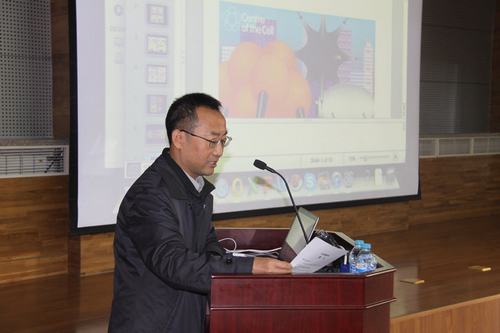 Prof. Yongqing Zhang, the deputy director of IGDB, hosted the lecture. 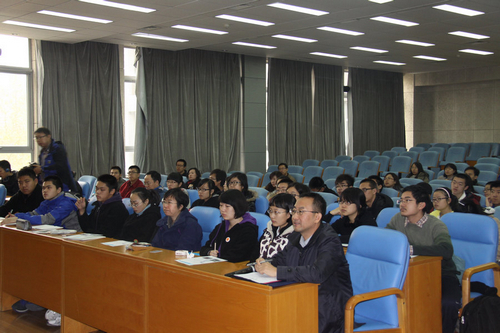 The audience from IGDB, Genetics Society of China, the Science Allocation of Beijing, China Research Institute for Science Popularization, teachers and students from Beijing No. 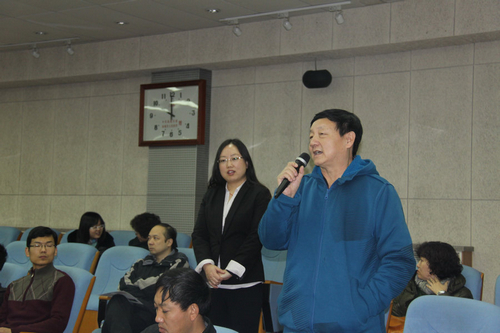 35 Middle School and so on participated actively and asked questions in a warm atmosphere.